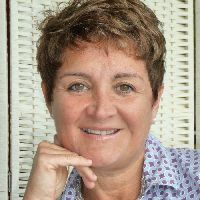 Anny Rosciani - Woodhams is an Argentinian missionary who has been working in the UK for the past 18 years. She has many years of experience reaching out to Japanese women in Oxford and central London, where she was involved in helping Japanese women with issues of culture shock, and teaching them from the Bible. Anny trained at All Nations Christian College. She also studied at St Johns College in Nottingham where she received her “Professional Certificate in Pastoral Counselling”. Then she qualified in “Psychodynamic counselling “at Birkbeck (the University of London). Her current ministry includes: working with Latin Partners - Latin Link, partnering with member Care debriefing missionaries. She is a spiritual director and mentor and run retreats in North London.